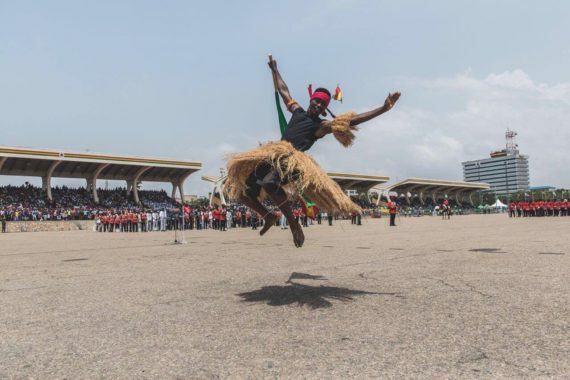 “Nsruma”, a blunt, raw and engaging performance that captured traditional dances and music from all parts of Ghana recently charmed a capacity crowd at the Black Star Square during the 60th independence anniversary parade. 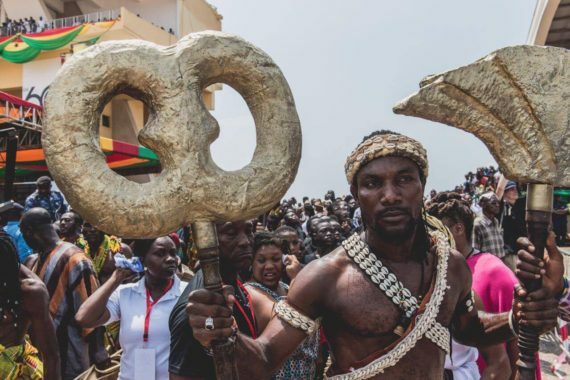 Choreographed by Nii Tete Yartey and Kofi Anthonio, the piece, which marshaled over 270 artistes, revolved around salient Ghanaian values including respect, courage, valor, craftiness, humility and democracy, is equally an imaginative fusion of various dance forms. 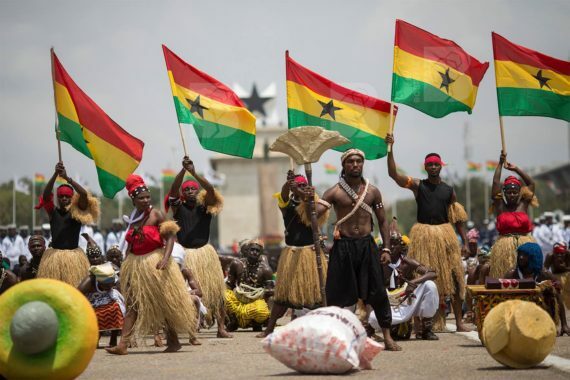 These are Klama (Eastern), Wong (Upper East), Bawa (Upper West), Jera (Northern), Husago/Adzogbo/Borborbor (Volta), Abisa/Kundum (Western), Nkyera (Brong Ahafo), Kete (Ashanti), Asafo (Central) and Kpanlogo (Greater Accra). 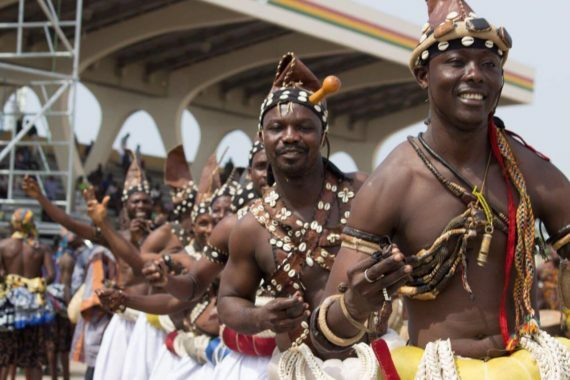 “I have seen performances of Ghanaian traditional dances – nevertheless, it is a refreshing – indeed, an unforgettable experience to see such a huge number of performers in grass / colorful costumes working together in harmony”, said Vera Schimdt, a visitor from Germany. 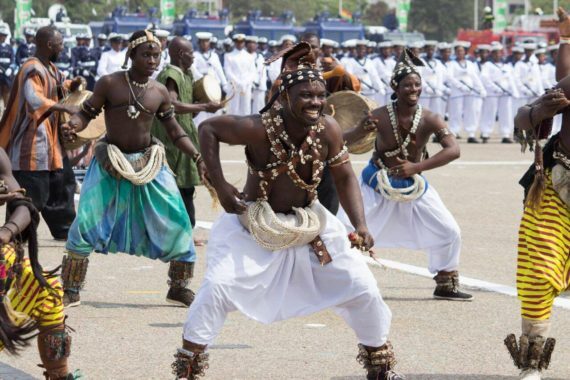 Accompanied by wild rhythms from a wide variety of traditional Ghanaian drums, some of which have been specially crafted by master drum makers, the dancers moved in unison as they express Ghanaian history and culture through well-coordinated body movements. 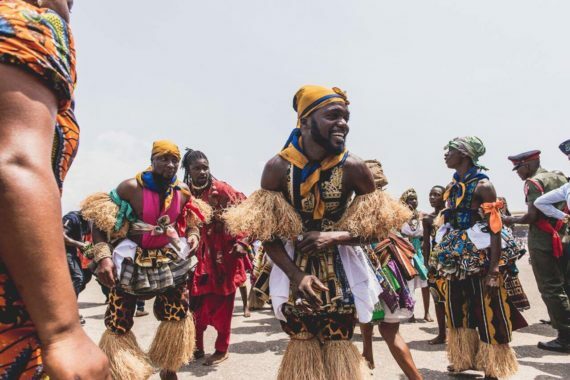 Yartey and Anthonio created intricately woven transitions that enabled a cool flow of the piece as dancers, whose bodies have been shaped by an act they have mastered over many years, progressed in various formations alongside highly descriptive movements. 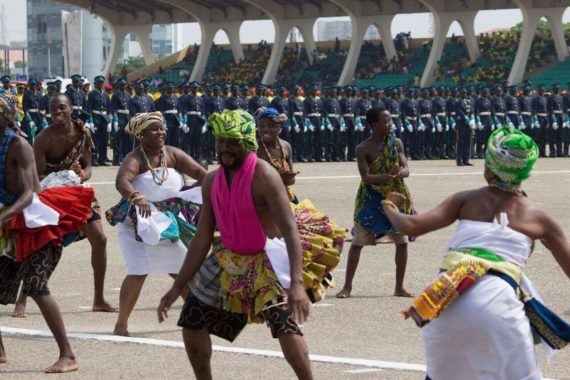 Dancers from the Noyam African Dance Institute complimented the performances with a contemporary piece that has its heart definitely embedded in Ghanaian traditional dance movements. 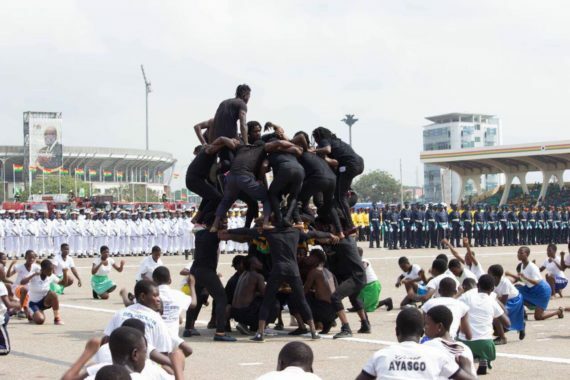 It was characterized by swift, subtle and graceful movements alongside a rendition of “Abibiman”, which was composed by the late musicologist Dr. Ephraim Amu. 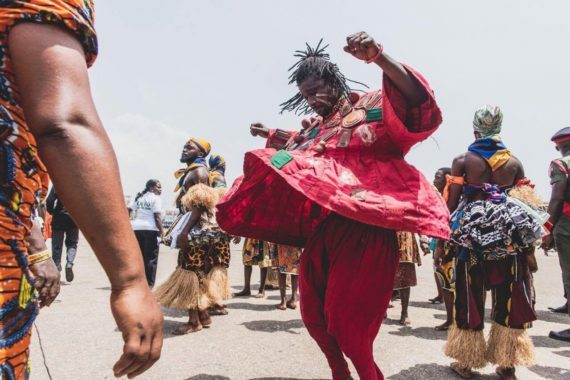 “Ghanaian art forms are truly diverse – it’s an unforgettable day for me to witness dances from all parts of Ghana and a contemporary piece laced with elements of traditional dance”, added Karla Hensen from Holland. 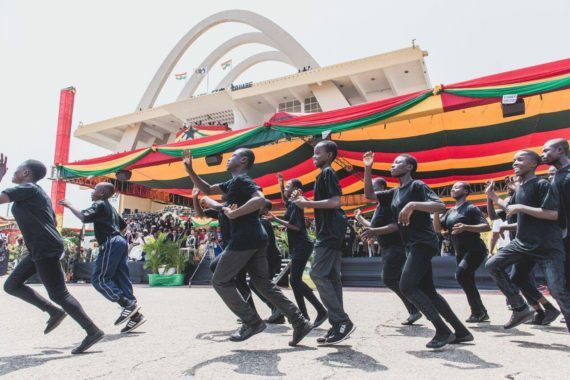 The performance was organized by the Ghana @ 60 Planning Committee in collaboration with the National Theatre of Ghana, National Dance Company, Ghana Dance Ensemble and Centres for National Culture among others.